Years ago, I was a major fan of the likes of Chase HQ, Daytona USA and Outrun. I spent pound after pound in arcade machines all over the country just to get past a certain checkpoint or beat a particular stage. Those were the days! But lately racing games pass me by. I just can’t get enthusiastic about doing laps around a circuit in a variety of spectacular looking cars. The modern game has never hooked me in quite the same way, and, to be brutally honest, i’d rather watch paint dry. Yet Forza Horizon 2 has held me by the throat ever since I first booted it up. Now it refuses to let me go. For the first time in over fifteen years, I can finally say a car-racing game has completely spellbound me and I want to tell you all about it. Probably the most consistent thing you’ll see among reviews for this game is praise for the visuals, so I want to address that right off the bat. Xbox One has received no end of criticism since launch for its third party support, with games outputting at 720p, struggling to capture 60 fps. That’s as well be, but out of the two powerhouse new-gen systems, i’ll say this much. Xbox One exclusive games deliver genuine ‘wow’ factor, where Playstation 4 exclusives are still finding their feet, and Forza Horizon 2 is the cherry on top of one glorious looking cake. If you thought Ryse was astonishing, and Titanfall breathtaking, seeing this in high definition detail is league of its own ridiculous. This is the reason you upgraded to a new-gen system. This is the power, juice and image you want to see pumping out of your high-end technology. Forza Horizon 2 oozes elegance so much on Xbox One that it’s hard to imagine why anyone would want to play it on a last-gen system. Playground Games have finally crafted a Forza experience deserving of a new-gen system. Players once again compete in the Horizon Festival, this time taking place in Southern Europe and encouraging travel through Italy and France. You’ll face cars of all shapes and sizes and drive through the likes of Nice, Tuscany and Provence, all in an effort to compete in the grand Horizon final. And that’s the beauty of FH2, cars aren’t the sole stars of the show here. Sure, looking at a LaFerrari or a 2014 Lambourghini Huracan or a Chevy in full detail is mouth-watering, but the scenery? The scenery is eye-meltingly spectacular. Having visited Italy and Southern France several times and seeing many of these locations with my own two eyes, I can attest as to how to accurate the attention to detail is here. Turn 10 and Playground haven’t just gone off a few portraits or travel shows with the art-style here, they’ve genuinely captured small, subtle details and characterizing features that define these locations and it shows. Add the night/day cycle and the dynamic weather system and it’s definitely no exaggeration to say that Forza Horizon 2 is truly special. FH2 is just so easy to dive into and enjoy. You can play the main races and blitz your way through to the end, or you can travel the open road, explore Southern Europe in full glorious detail, or any number of other side activities. One of the more compelling new additions is ‘Bucket List’. The idea is that you do an infamous activity in the car of your dreams. One of the more memorable missions sees you chase down the sun in a Ferrari. You need to reach the sun’s setting point before the sun does in a race against time. Except you’ll find it difficult to maneuver and handle when you’re taking your eyes off the road, gawping at the open sea, boats sailing across and at the far-reaching mountain faces authentically recreated thanks to the game’s amazing draw distance. There are also XP boards you can smash, speed cameras you can race past, and other people’s drivatar’s roaming past at all times. You can race their ghosts and try to beat their best times at any point. That’s perhaps the most incredible thing about FH2, Playground and Turn 10 haven’t just crafted and designed a beautiful world, they’ve populated it and filled it with you, them and us. That’s without us talking about the online component. 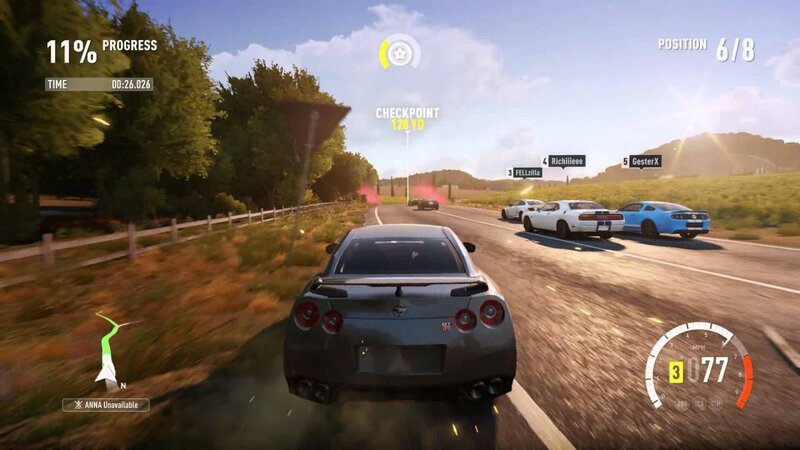 Not only will challenges be added regularly to the map, players can engage in car meets, which can include them exchanging tuneup strategies, compare their vehicles, challenge them and even buy them. But the bulk of it comes in the form of Car Clubs. Once unlocked in the main game, you can join or create Road Trips or Free Roam. As part of a Road Trip, everyone competes in different races and events while heading toward the same destination, while Free Roam lets you set waypoints, create events and do whatever you please on the main map. Without a doubt, it eases the pain and disappointment Forza 5 laid on us all. This is the game that should have launched with the platform. It’s fast-paced, it’s arcadey enough to be appealing to someone who doesn’t necessarily like racing games, but it equally gives enough for gearheads to appreciate and admire. 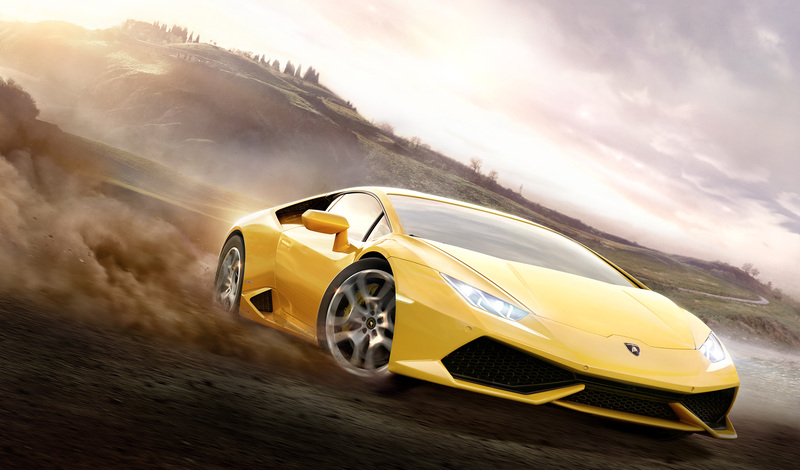 Forza Horizon 2 is pure joy in a box. 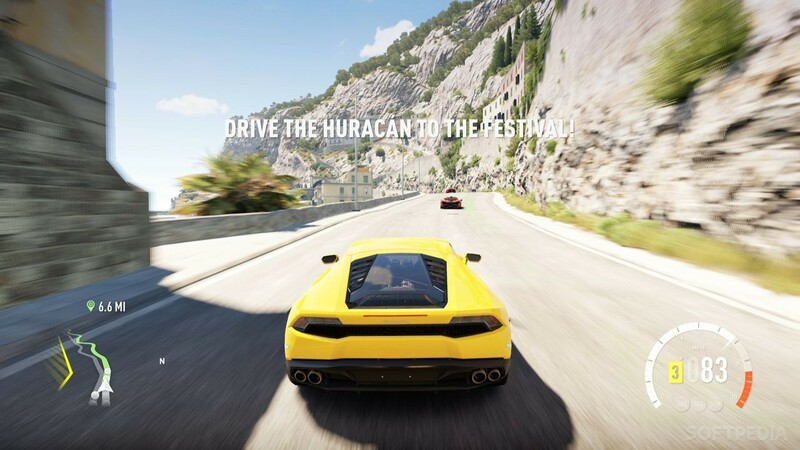 Fulfilling, engaging and effortlessly compelling, in a season filled with epic-looking car games, Forza Horizon 2 sets the bar high and beckons all comers on. 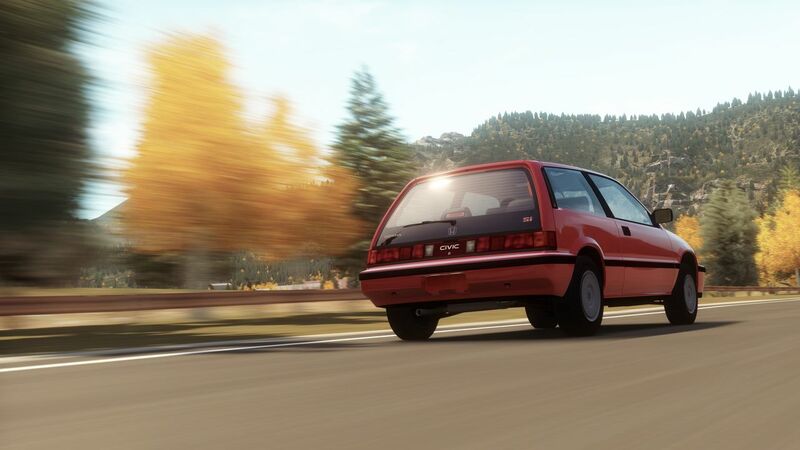 Oh, Forza Horizon 2, where have you been all my life? Thank you for reminding me how fun racers can be. How beautiful they can be. The Xbox One once again gets a quality exclusive, further validating the purchase of the platform. Whether you’re like me and aren’t generally a Forza fan, or jump for joy at the announcement of each release, Forza Horizon 2 does not disappoint. One of the most entertaining titles in 2014 by a country mile.